Paul G. (Gregg) Driggers, has 24 years of funeral and cemetery management experience. He spent 13 years with a large funeral service corporation. In 2004, he left the corporation to pursue the opportunity to build and design a cemetery from the ground up for the City of Grand Prairie. He has now spent the past 11 years in the public sector of Government Municipality. He is licensed as a Funeral Director and Embalmer by the Texas Funeral Service Commission. He is a past President of the Texas Cemetery Association. He is also a member of the Texas Funeral Directors Association, and is a past graduate of the Leadership Southwest. Gregg enjoys spending time with his family, playing golf, scuba diving, hunting and fishing. Gary Decker graduated from Texas Tech University in 2005. 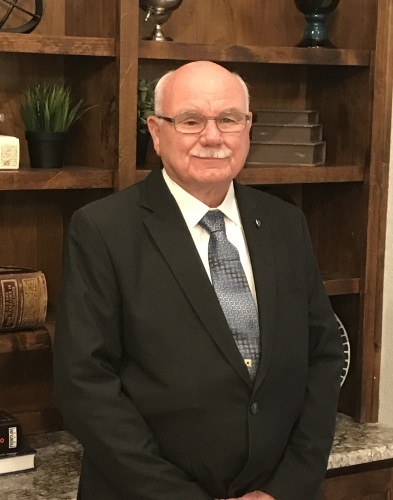 He started in the industry as a Family Service Counselor selling prearranged funerals and cemetery property, later becoming a Family Service Manager. Currently he is the manager of a city cemetery. He will be available to assist families that are interested in prearrangements. Gary enjoys watching movies, playing golf, attending sporting events, and spending time with his wife and two children. Ashleigh Decker, daughter of Gregg Driggers, graduated from the Dallas Institute of Funeral Service in 2012 in the top of her class. She served as the President of Phi Sigma Eta (honorary funeral service fraternity based on scholastic standing) while attending Dallas Institute of Funeral Service and participated in Women in Black. She is licensed as a Funeral Director and Embalmer by the Texas Funeral Service Commission. Ashleigh started her career in the funeral industry in administration, she then moved into a funeral director role after completing her apprenticeship. Ashleigh enjoys watching movies with her husband, Gary, going to museums, the beach, spending time with her family, and being a mother to her sweet baby girl. We are family. We strive to treat everybody that comes through our door like family. Let our family take care of yours.